Like it or not, cameras are everywhere – and not just security cameras. Individuals taking pictures of themselves and their friends can inadvertently catch you in their snapshots, indoors or out. If you’re particularly paranoid about your image being in the hands of someone you don’t know, the Justice Cap can help you stay hidden…kind of. 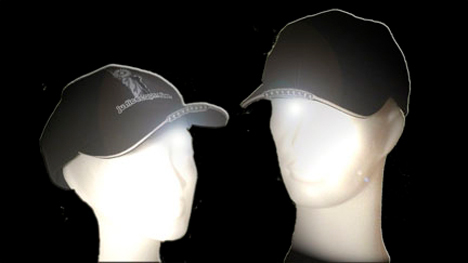 The baseball cap features a small strip of high-powered LEDs on the brim. When on, they create a face-obscuring glare for any camera that might be trained in your direction. It works best in low lighting conditions since daylight or natural light will obviously balance out the LEDs and illuminate your face evenly. See more in Home & Personal or under Gadgets. April, 2014.